With glaciers marking its tip, active volcanoes running along its spine, snow-capped peaks rising high above its range, both wet and dry tropical rainforests within its interior, and desert, lowland savanna and alpine tundra in between, the Andes is an extraordinary world of diverse terrain, extreme temperatures and multifarious wildlife. 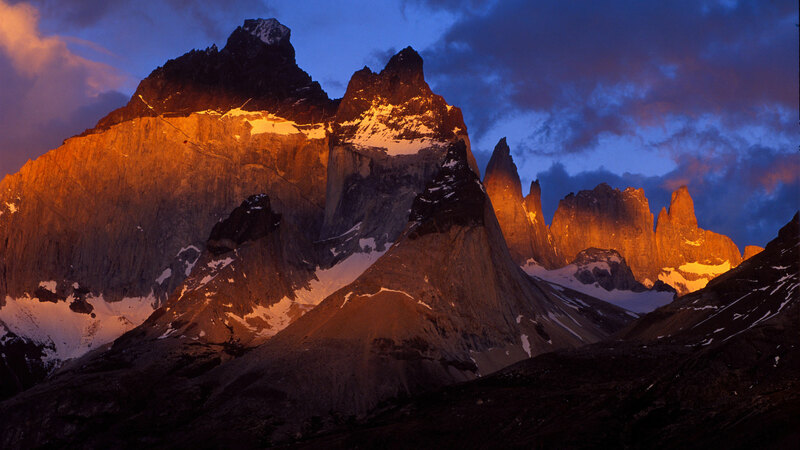 Rising out of the Pacific Coast, this high mountain range is 5,000 miles long, extending over seven countries between Tierra del Fuego in the extreme south to the Caribbean coast in the north. Once the realm of the ancient Incan Empire, this place of myth and legend also has a rich, intriguing natural history going back to the Jurassic period, marked by an event of monumental portion—the formation of the Central American land bridge 3 million years ago. The creatures of the Andes set this land apart from all other places on earth. The Andes are home to the zorro, a “false fox” with adaptations that make it a successful inhabitant of the Andes. The flamingo, too, has developed utterly unique and specialized adaptations in order to thrive in an environment that doesn’t even seem livable—a salt pan. Only a mountain range of extremes could harbor such a rich and diverse variety of life forms. Here you will find some of the highest, saltiest, wettest and driest terrains on the planet. Penguins, opossums, hummingbirds, llamas, pumas, foxes, condors, spectacled bears and many more have all managed to carve out an existence somewhere in one of the many worlds that we call the Andes.